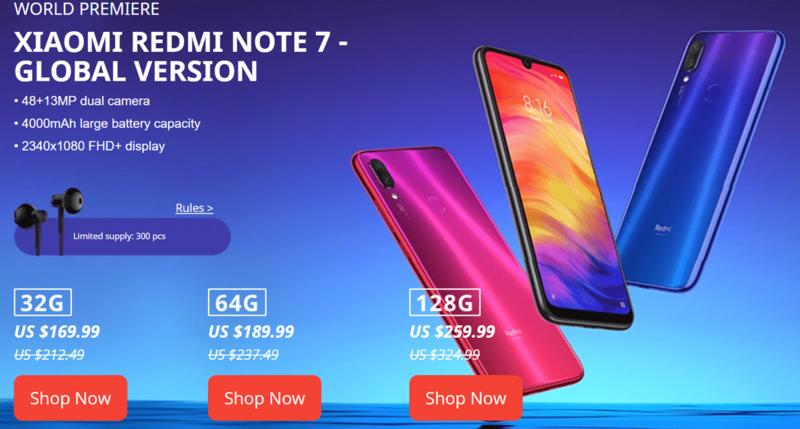 XIAOMI sale aliexpress 2019. Starting at 50% off. Mi Fan Festival. 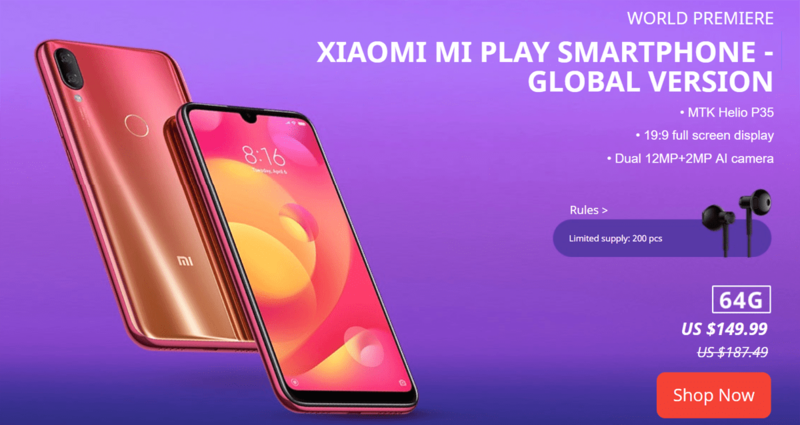 Flash sales for Xiaomi Mi Play will take place at 00:00 PT every day from April 4-7. Each buyer can participate in a Xiaomi flash sale only once, so you can get only one US $74.99 phone maximum.